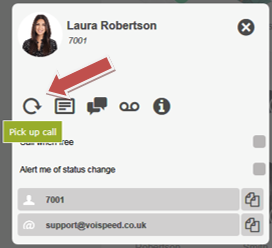 To pick up a call of an extension that is ringing on another extension (the user’s border is orange), click with the right mouse button over the user with the orange border and then click up on the call pick up call button.  The call will be automatically routed to your communication device. If you cannot find the user who is ringing, you can type his name or surname or extension in the search bar above the user list. NOTE: the phone system administrator can limit the scope of the capture from the User Interface (UI) to the only group to which it belongs (otherwise it will not be possible to capture calls from extensions outside their own group) or prohibit it altogether.